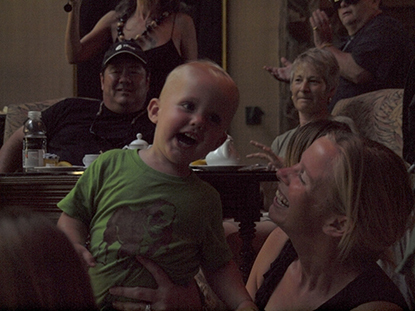 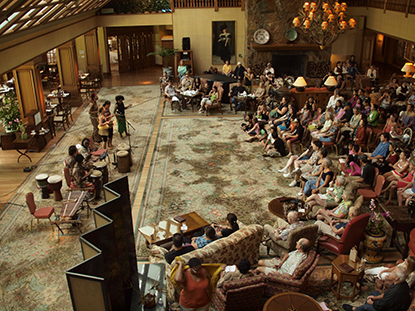 On Thursday, they delighted and awed the standing-room only crowd in the lovely Great Hall at Four Seasons Lodge at Koele. 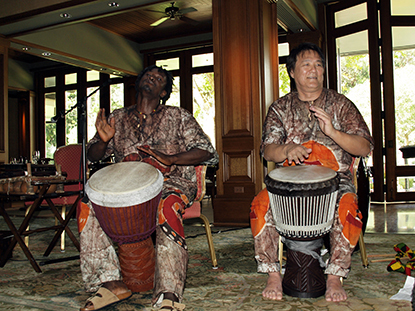 From the first minutes of their performance, Badenyaa's enthusiasm and bright energy had the capacity crowd of over 170 (including approximately 50 youngsters of various ages) smiling and clapping in rhythm. 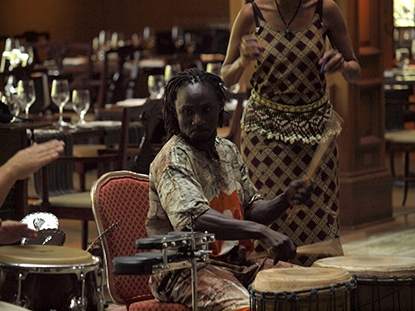 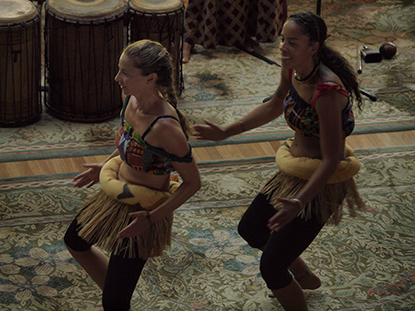 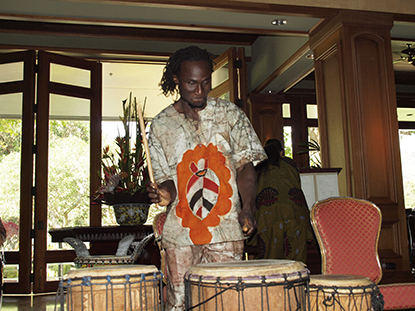 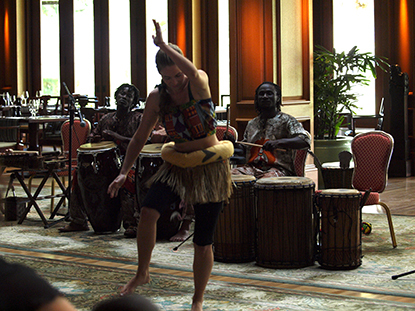 Utilizing an array of drums and a gorgeous African predecessor to the marimba known as a balafon, the high energy and infectious rhythms of the group's live music raised the roof on the Lodge's Great Hall. 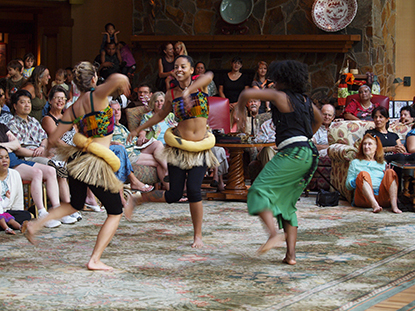 The performance, which lasted a delightful 90 minutes, featured eye-grabbing costumes, soulful, energetic dancing, wonderful storytelling and when the group brought up Lanai's young people to play various percussion instruments alongside the drummers, smiles beamed from the stage and audience alike. 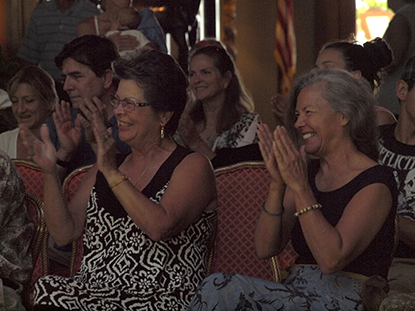 The show culimated with a rousing finale that had audience members from 6 to 60 happily dancing along with the troupe. 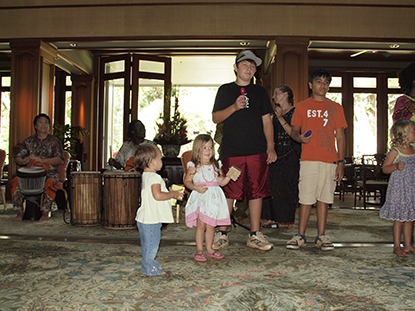 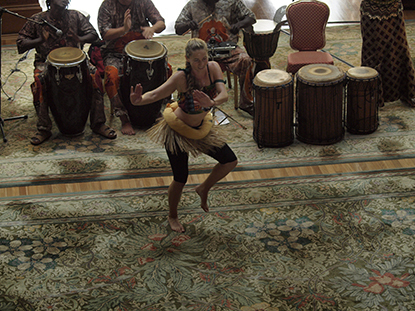 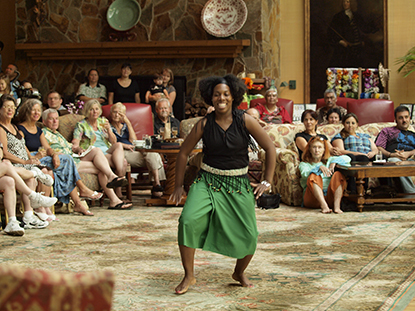 As with all the UH Manoa shows, the event was free and open to all Lanai residents and Four Seasons guests. 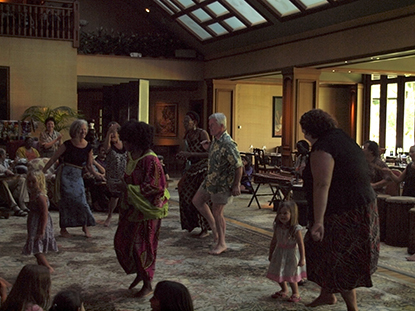 A brilliant, high-energy afternoon of music and dance from a committed, professional and delightful group who traded energy with the audience all afternoon. 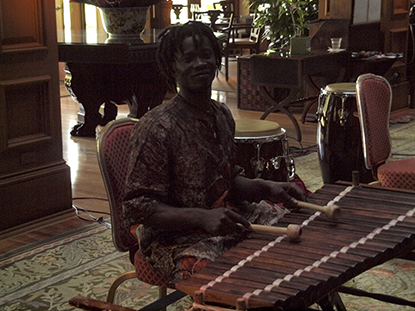 Click here to visit Badenyaa's great Facebook page for touring information, background and more rich content.